Jill Stuart Strawberry Whipped Rouge ($30) is a new, limited edition whipped mousse-like creamy lipstick that launched with the Jill Stuart Strawberry Valentine’s Day Collection a few weeks ago in Japan. You might recall this launch when I spoke briefly about it in Sweety Strawberry Hand Cream Review which is also one of the pieces that released with this collection! I did find myself wishing they did a a strawberry chocolate themed eyeshadow palette like Clinique’s Strawberry Fudge Palette that launched a few years ago! I think that would have really made the collection brilliant. None the less, it was still a rather cute and appealing collection. I dunno! I have some sort of weird thing for fruit and makeup! Maybe that’s just me!? Anyway, I did purchase one of the Jill Stuart Strawberry Whipped Rouge shades! Here’s my thoughts and review on the formula! Jill Stuart Strawberry Whipped Rouge comes in a lightweight yet very elegant tear drop barrel that looks alike like the packaging of Forever Juicy Oil Rouge but it’s a bit shorter and the cap is different as well. Speaking about the cap it’s rather pretty isn’t it? It’s a rose pink metallic with a tiny diamond accent. The packaging does remind me of a little strawberry! Although small the packaging actually holds 0.33 oz of lip color. The other box is equally cute with images of chocolate-dipped strawberries splashed across the front. Cute, pretty packaging is definitely one of these things you’re buying into when it comes to Jill Stuart. I actually only purchased one shade from this collection as when I read whipped and mousse I was expecting a matte formula. What I got was a creamy, mousse-like texture as marketed but also, quite a nice hydrating, slightly waxy creamy formula. The finish is a hybrid of sorts that part matte, part cream and all comfortable. It applies very smoothly and evenly on my drier lips and stays lightly hydrating through the four hour wear. The waxiness I initially experienced sort of acts like a primer as this finish is quite smooth on my drier lips! The color I selected was a nice warm brown toned rose with fairly nice pigmentation on a single application. There was a light strawberry fragrance and flavor which I found pleasant but might be an issue for sensitive users. This formula surprised me as I thought it was going to be matte but I should have known that wouldn’t be the case as all since mattes aren’t terribly common in Japanese beauty. All in all, a very comfortable little lip color in beautiful packaging! 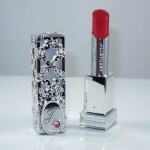 Jill Stuart Strawberry Whipped Rouge is available now! Jill Stuart Strawberry Whipped Rouge is a new, limited edition lip color that launched in four shade selections for Valentine’s Day 2019. This is a creamy mousse-like lip color that had fairly nice pigmentation on a single layer with a creamy slightly waxy texture that hugged lips in smooth, even color. 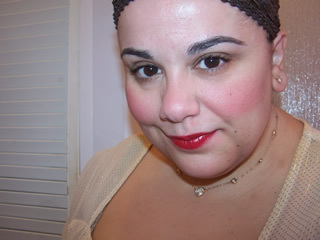 Lightly hydrating, pretty lip color that wears long. Jill Stuart Strawberry Whipped Rouge is lovely little lightweight, hydrating lip color that’s well worth a pick up for fans of the brand! This is do cute! Can you please describe the color? The color description is in my review! Hope this helps! Sorry did I miss it, what shade did u get? muse, I may be losing it, but I cannot find the name of the color you are reviewing/swatching….